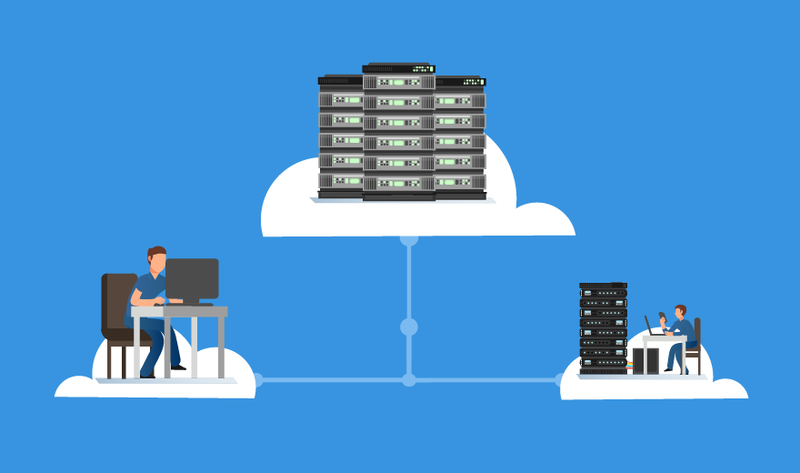 Data management and data movement are the two most important considerations when building a cloud server for a hybrid cloud system. Hybrid clouds are generally built on commercial, off-the-shelf components. IT administrators must base their choices largely on networking and storage factors. In the U.S., fiber technology has been slow to spread. The remaining wide area network infrastructure is slow, which has created a bottleneck between private and public clouds. Generally, admins must choose between two paths for a hybrid cloud server. The first option involves powerful x64 servers that admins can virtualize with either containers or a hypervisor; the other option is a cluster of less powerful, small servers that admins can manage with orchestration software or a hypervisor. In the former option, admins have many choices, including dual-CPU 1U servers and 2U quad-CPU servers, depending on the amount of memory needed. In the latter option, a system of small servers works well, but inexpensively in limited contexts, such as media delivery and web serving. How does the hybrid cloud fit into your data center planning?